The Made of Light project by Speirs Major and Associates Lighting Architects http://www.madeoflight.com/mol/site_map.htm is a wonderful e-book that discusses the relationship between architecture and light in 12 simple themes. The photographs above pick up many of these themes in the use of light in the landscape. 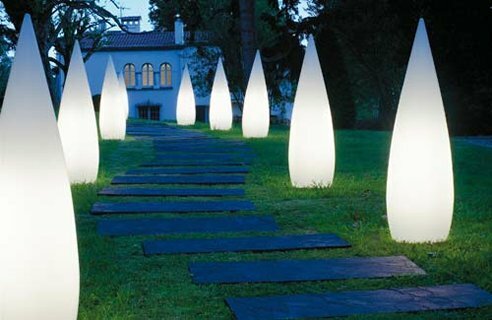 This entry was posted in Garden Design and tagged Garden Design, Landscape Architecture, Urban Design on 30th October 2009 by Christine. 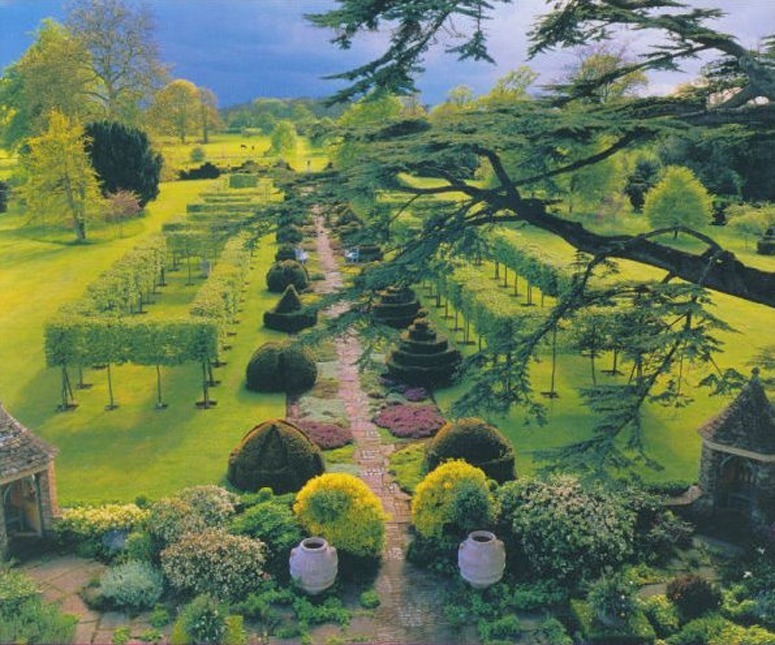 Charles Jencks has been making the most interesting postmodern garden in Britain, with the Prince of Wales Highgrove garden as its only rival. Jencks, as the leading theorist of postmodernism, has the stronger theoretical base and I daresay there is not much to chose between the gardens with regard to resource costs. The Prince is the clear winner on sustainability grounds. 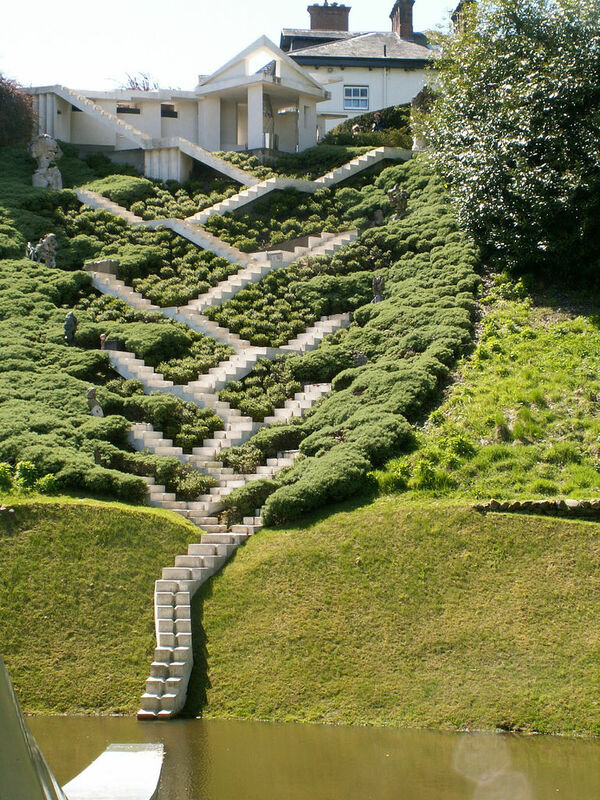 Apart from its striking visual character, the most interesting thing about Jencks Portrack garden is the way it carries forward the ancient project of making gardens which imitate (mimesis) the Nature of nature. Jencks seeks to understand the nature of the world, through science, and to embody the nature of the world in a garden design. The pharaohs, Plato, the emperors of China, Alberti, Capability Brown, William Robinson and Charles Prince of Wales had the same intention. The results differ because their understandings of nature differ. One criticism I have heard of Jencks’ Portrack Garden is that he is too literal in his ‘imitations’ of physical and chemical laws, principles and formulae. While not seeing this as a fault, I agree with the observation. The alternative would be to use the revelations of science as Jencks’ renaissance predecessors used optics and mechanics to produce remarkable visual effects and devices in gardens. Outside the garden realm, one of the most dazzling examples of what might be done, from the nineteenth century, is the Foucault Pendulum, demonstrating the rotation of the earth. “The direction along which the pendulum swings rotates with time because of Earth’s daily rotation. The first public exhibition of a Foucault pendulum took place in February 1851 in the Meridian Room of the Paris Observatory. A few weeks later, Foucault made his most famous pendulum when he suspended a 28-kg bob with a 67-metre wire from the dome of the Panthéon in Paris. The plane of the pendulum’s swing rotated clockwise 11° per hour, making a full circle in 32.7 hours.” It is not too late to be making Foucault Gardens, Foucault-inspired gardens and other gardens inspired by a scientific understandings of Nature. This entry was posted in Garden Design, Garden Visiting on 28th October 2009 by Tom Turner. 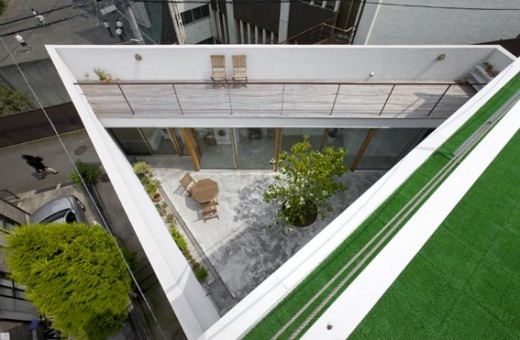 Apart from what looks what looks unfortuneately like artifical turf on the roof – the Garden House by Takeshi Hosaka Architects with its tight triangular plan is a surprise and delight! Definitely a garden for my soul! The living spaces are designed around the edges of an enclosed garden courtyard, cleverly stacked and arranged to take advantage of every square mm of space, create privacy and capture views. In the photographs the garden is very young…it would be fantastic to revisit the house as the tree grows and the potted garden matures. This entry was posted in Asian gardens and landscapes, context-sensitive design, Garden Design, Landscape Architecture, Sustainable design, Sustainable Green Roofs, Urban Design and tagged context-sensitive design, Garden Design, Sustainable design on 27th October 2009 by Christine. I once wrote that ‘Royal leadership in the art of garden design began to decline after the accession of George I in 1714‘. His successors lacked the garden enthusiasm of their predecessors. No one could say this of Prince Charles. 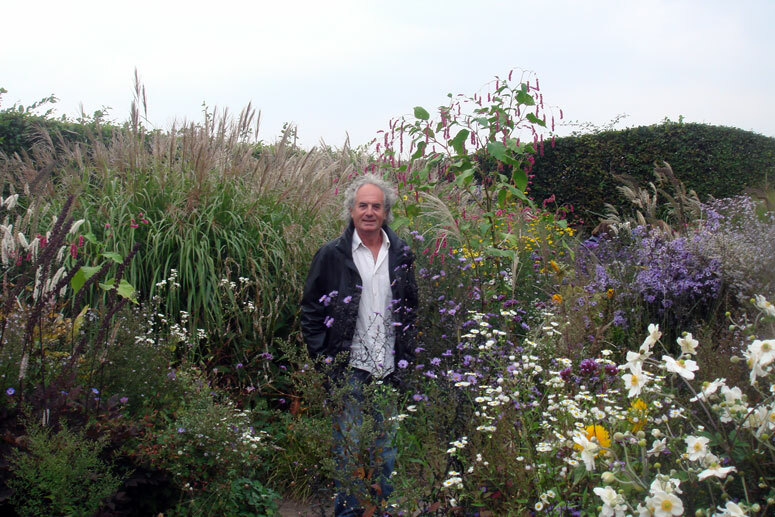 With talent and resources, he is making one of England’s great gardens. Should he become Charles III, as I hope, he will be the most talented garden designer ever to sit on the throne of England or Great Britian. He has substantial talents in garden design, landscape architecture and landscape painting. Charles is already The Green Prince. But will future historians state that ‘royal leadership in the art of garden design resumed when the Duchy of Cornwall bought Highgrove from Maurice Macmillan in 1980’? It is possible. But it is too early to judge. The Prince has, he tells us, put his soul into Highgrove. You can find a few images on the web and many in his book but unless you manage a visit, as I was lucky to do, you will not get a good idea of the garden. With 6 full-time gardeners and 4 part-time gardeners, it is a fast-changing and, as yet, a rather admirably untidy place. I will try to put my analysis into the standard format of a design critic and teacher: classifying the approach, saying what is good, saying what is not so good, and making suggestions re ‘what could do with further thought’. The house dates from the 1790s and the design theory underlying the garden dates from much the same time. Humphry Repton, who once worked for a Prince of Wales, would have strongly supported the use of a compartmented structure and, unlike Arts and Crafts compartments, they would have had design themes. I do not doubt that Repton would have approved the use of contemporary themes at Highgrove – and the view of Tetbury steeple from the front of the house is uncannily like a Reptonian sketch. But the visual character of Highgrove is uncompromisingly postmodern – to a far greater extent than the Abbey Garden in nearby Malmesbury by the brash postmodern developer-architect Ian Pollard. In detail, it may well be that Prince Charles has drawn inspiration from his annual visits to the Chelsea Flower Show and, perhaps, from Ian Hamilton Finlay’s Little Sparta and from the work of Geoffrey Jellicoe. The Prince has been very brave. His skill with pen and brush have educated a discerning eye and a creative imagination, able and willing to work as a patron for talented craftworkers. Individual compartments are highly experimental, with some notable successes and some requiring further thought. He also has a grand theme – sustainability- which, it must be hoped, will unite the compartments into what could become the greatest Postmodern Garden in Britain. At present Portrack, by Charles Jencks, is its chief rival. The Highgrove garden lacks spatial coherence. This flaw may be a consequence of its youth. But it may also result from the lack of a ‘master plan’ at the outset of the project. It is perfectly logical for a Postmodern garden to be without a master plan but its lack may diminish the eventual quality of the design. I saw Highgrove in early autumn. It may be that a flowing springtime meadow, billowing around the geometrical core, gives more coherence. But I doubt if this would be enough, even though Miriam Rothschild advised on the composition and management of the wildflowers. My first suggestion to Prince Charles is to get some feint outlines of the garden plan printed onto the best watercolour paper and then to lay some washes to create a shape and a pattern for this space. My second suggestion is to give some more thought to the pedestrian circulation. This should be done first by user analysis (records of walks: by residents, visitors, staff, animals etc) to plot desire lines, and then by the Prince, if he can find the time, doing a series of quick watercolours to show views along a ‘processional route’ (ie a recommend route for visitors). They should be arranged in sequence and used as a design tool for future projects. Eventually, it might be found that they can be edited to tell a story. PS I use ‘gods’ instead of ‘god’ in the heading for this post for several reasons (1) Prince Charles has stated his desire to be the Defender of Faiths, rather than Defender of the Faith (Fidei defensor), (2) many ‘gods’ appear to be respected and represented at Highgrove, (3) Christianity has not been a fruitful religion with regard to garden design. PPS I also liked the Orchard Room designed by Charles Morris and consider Jonathan Glancey’s piece on A royal bungalow in the Tesco style bigoted. This entry was posted in Garden Design, garden history, Garden Visiting on 25th October 2009 by Tom Turner. 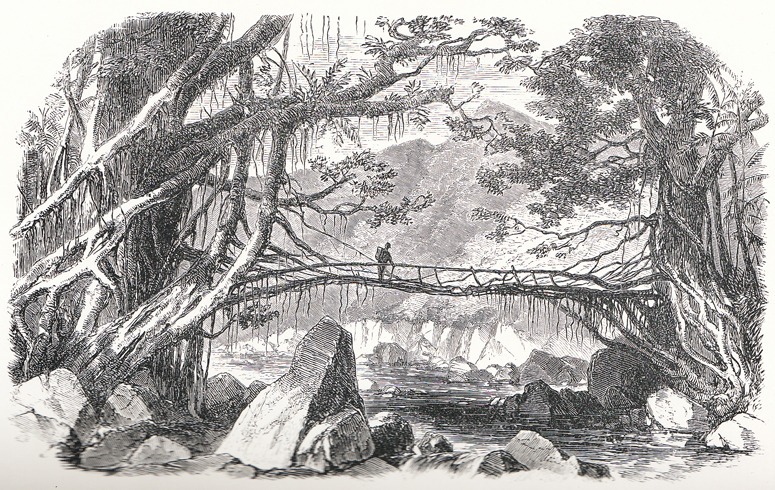 The living green bridge was made from the branches of two India Rubber trees Ficus elastica. This entry was posted in garden history, Sustainable design on 24th October 2009 by Tom Turner. This entry was posted in Garden Design and tagged sustainable landscape design, vegetated architecture, water gardens on 23rd October 2009 by Christine. This entry was posted in Garden Design and tagged climate change, Garden Design, landscape design, water architecture on 23rd October 2009 by Christine. We have begun updating the list of 100 Best Books on Landscape Architecture and would be pleased to have suggestions for additions – since it has does not yet have 100 books. There are overlaps with garden design, urban design, architecture and planning. For the convenience of second hand book buyers we have added links to the Abebooks website (from which books can be ordered and delivered to any country). What are your favourite books? This entry was posted in Book reviews on 21st October 2009 by Tom Turner. David MacKay states that onshore wind farms are likely to generate 2W/m2 and offshore wind farms to generate 3W/m2. 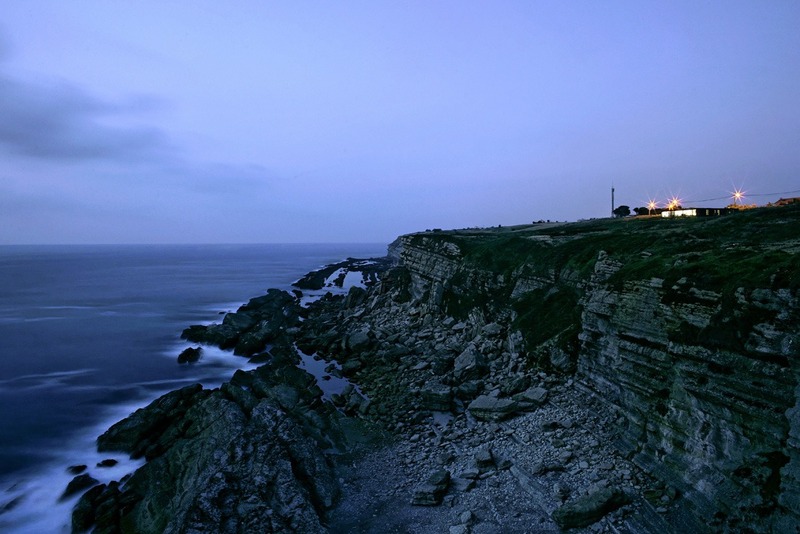 To supply the UK energy demand of 50kWh/day would therefore require an area twice the size of Wales to meet the demand with from offshore farms and three times the size of Wales to meet the demand from onshore wind farms. Wales (8,022 sq mi ) has approx 8% of the area of the UK. At present 13.5% of the UK is urbanized. David MacKay asks ‘would the public accept and pay for such extreme arrangements?’ Please study the above photo of Palm Springs in California before giving an answer. Some people might find a blanket of turbines ugly. Scotland has 32% of the UK’s land area and only 8.4% of the population, so it would be relatively easy to win a democratic vote to blanket Scotland with wind turbines and solve the UK’s energy problem, though the cost would be high. We could omit the Forth-Clyde Valley and include parts of Northumberland and Central Wales in the interests of ‘equity’. Too many southerners have holiday homes in the Lake District for this area to be included – so it could be a good place for property investment. 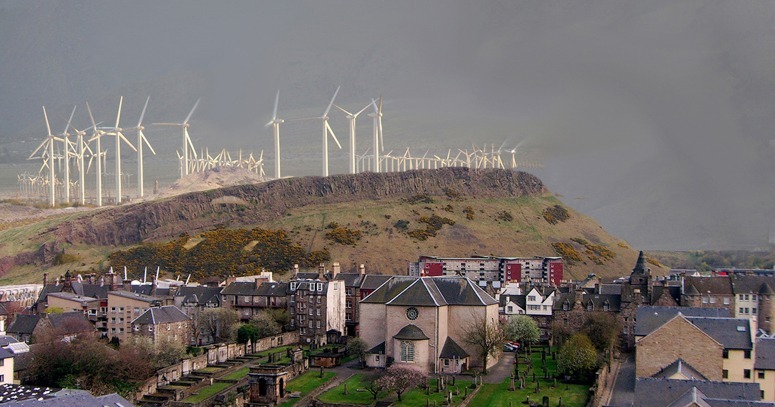 Would the Scots mind having wind turbines embellishing Arthur's Seat and Edinburgh's historic skyline? This entry was posted in context-sensitive design, garden history, Garden Visiting, Sustainable design on 19th October 2009 by Tom Turner. Thinking, sometimes, that landscape designers can turn to artists, much as we turn to engineers and ecologists, for specialist inspiration on projects, I went to the Frieze Art Fair this afternoon. By way of a review: I found about 2% of the exhibits wonderful and 40% of them trash. Judging from the way other visitors were pacing up and down the aisles, I suspect this opinion is common. Fortunately, we visitors were in disagreement as to which works of art fell into which category. I came away with some design ideas but, better than that, I stopped on the way home to buy a box of Liquitex Heavy Body Acrylic Color. 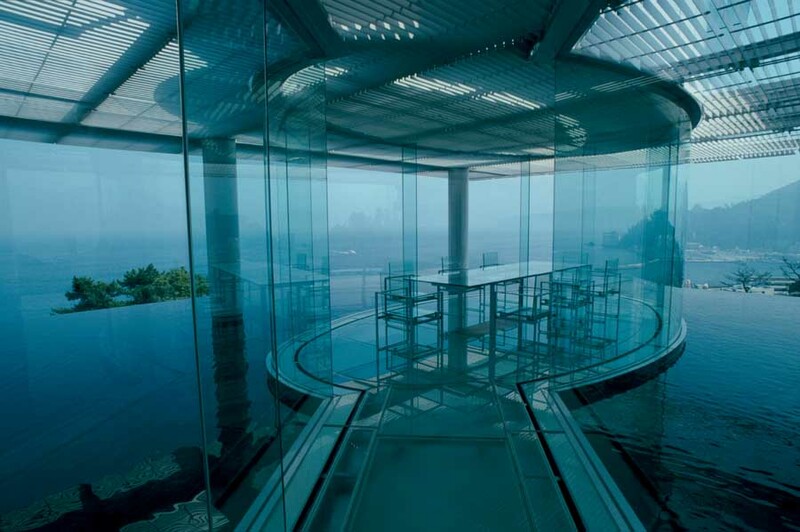 I did not bang into any celebs, unless you count the blue statue of Norman Foster. He can be seen on the video and on this webpage. I was very impressed by the high style in which most visitors were dressed – but instead of high style bikes outside there was a fleet of sinister Black Series 7 BMWs labelled ‘Frieze art 2009 VIP transport’. Trust me, life is better on a Brompton. This entry was posted in Garden Design, Landscape Architecture on 18th October 2009 by Tom Turner. So “village” is one of our most ancient words and it should mean a group of dwellings occupied by people who are related to each other and who relate to the surrounding land. The design for the London 2012 Olympic Village looks as though it might be in the valley of the Yellow River, providing modern blocks for groups of workers who no longer have any cultural or horticultural connection to the land on which they live. Where are the sustainable green roofs on the Olympic ‘Village’? Or do they plan to build a new Pruitt-Igoe in London? 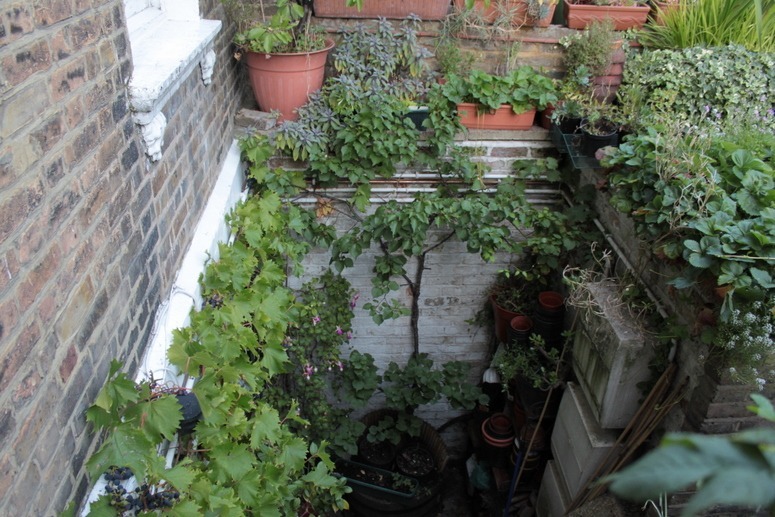 This entry was posted in Sustainable Green Roofs, Urban Design on 16th October 2009 by Tom Turner. And viewing the following sequence of the Pruitt-Igoe demolition in the film Koyaanisqatsi it is not difficult to follow the popular sentiment. [ http://www.youtube.com/watch?v=7ZF1e24FPpo ] Music by Philip Glass. Christine Wonoseputro contextualises the ‘moment’ in theoretical terms within the history of architecture as art. 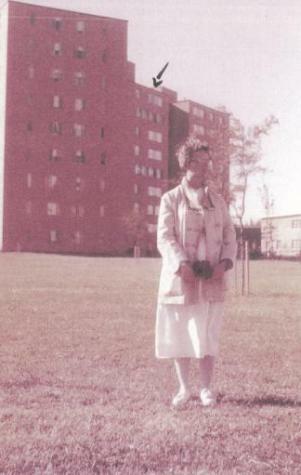 It is said that the residential mix of the development “overwhelmingly welfare dependent single mothers” (p182) was not the household mix that had been expected when the complex was designed. The couple in question occupied their flat for only a year. I assume this was the duration he was working at the St Louis hospital? From a landscape persepctive it is worth asking – what happened to the rivers of trees? This entry was posted in Urban Design on 15th October 2009 by Christine. We like to be first with the news. This photo was taken half an hour ago and we estimate there were over a thousand people in Greenwich Park on a wet afternoon, most of them horrified at the prospect of the damage the Olympic Equestrian Event would do to the Park. Those pounding hoofs and crowds of people would damage the Le Notre Parterre and endanger those wonderful old chestnut trees which do so much to feed Chinese chestnut pickers each autumn. 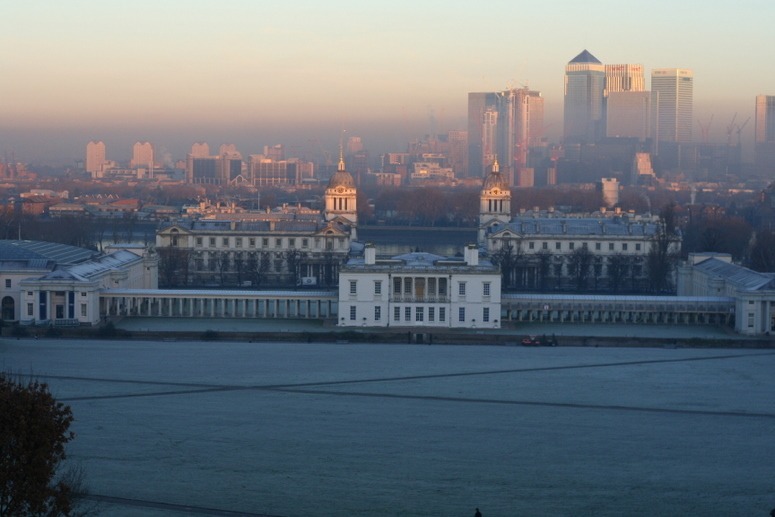 See also: Restoration after 2012 Greenwich Olympic Equestrian Event and Olympic Village 2012. This entry was posted in Historic garden restoration, landscape and garden archaeology, News, public art on 11th October 2009 by Tom Turner. I vividly remember my sense of injustice and disappointment when a university tutor dismissed the French Romantic poetry I was raving about as ‘cliché’. I had only just met it, and I thought it was wonderful. Please then, go to see this wonderful garden before it becomes cribbed, copied, and eventually clichéd. 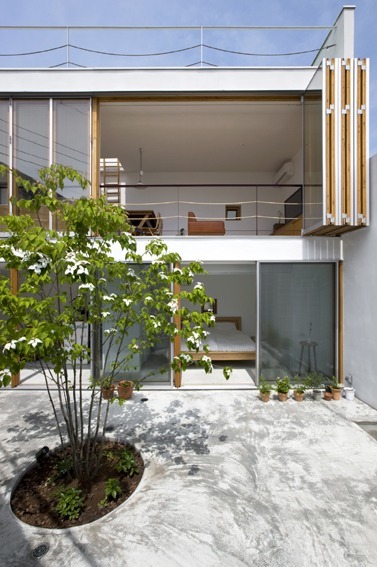 It is so new and so original, yet the formula is old, because this garden takes the best principles of the past and applies them in a strikingly modern way. Sylvie and Patrick Quibel are hortics who built the garden to promote their nursery. Now the nursery funds the garden, and the garden has been voted Garden of the Year by Those That Know. It is on flat ground in the middle of farm land in Normandy, a climate similar to ours in England, so plenty of scope for copying. The Quibels based the design on the principles used at Vaux le Vicomte by Le Notre (a design so successful that the Sun King jealously imprisoned the owner, stole the chateau, and got the designer to do him Versailles). There are grand allées, formal hedging and tightly clipped parterres. The house is raised above the land, and extra land is ‘borrowed’ by carrying the eye seamlessly into countryside beyond. 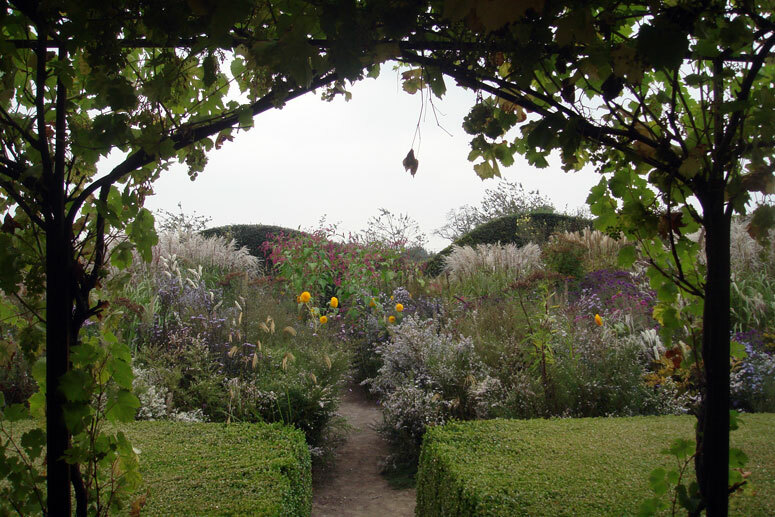 There is a potager as purely ornamental as Marie Antoinette’s, a pool to reflect the heavens, and secluded spots for indulgent reverie. So far so déjà vue, but what makes the garden modern is the way all this is done. The raising of the house is by one sole brick step, and that is the only new hard landscaping to be seen. The allées are wide paths in an orchard, mown between geometric squares filled with tall grasses and colourful perennials. Thus French formality is wittily contrasted with the billowing grasses which play so well to the wind swept site .The Quibels saw them as undulating and continued the metaphor by clipping the formal hedges into waves. The parterre in front of the house is filled with the Summer garden – a jumble of hot colours and tall shapes including over 8 different types of Helenium – on close inspection each bed of the parterre has a side missing, ‘to let in the air’. 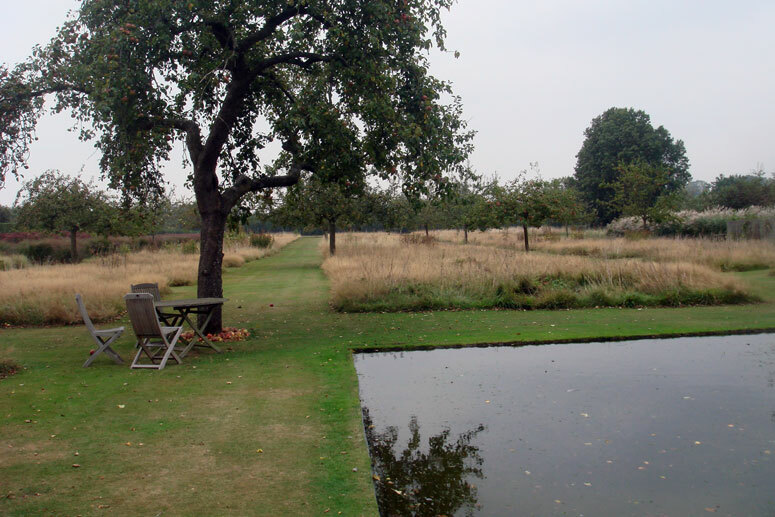 This looks out onto the orchard, and beneath an enormous apple tree, the reflection pool, which is a simple square cut in place of one of the grass cubes in the orchard. There are traditional box balls in the Spring garden, but there are over twenty of them, of varying sizes and interplanted with mainly whites such as hellebore and solomon’s seal, astrantia and pulmonaria, all brought alive with the lightest scattering of Molinia ‘Fontane’ dancing above. The Autumn garden is hidden behind hedges on the west side of the house, and Patrick describes how they built the arbour as this is the best spot to enjoy an evening aperitif. In front of the arbour an enormous ‘table’ of box separates the diners from the crowd of ‘vivaces’, a brightly coloured jostling jungle of perennials, with annuals and grasses, mostly over six foot tall. The Quibels site Dixter as an influence, and like Christopher Lloyd and Fergus Garrett they plant in associations. They will try out groupings in situ until they are happy with a combination, when they repeat it again and again, so that the result is harmonious, whilst looking natural. In the spring everything is cut to the ground, weeds removed and, like Dixter, self-seeders scrutinised and allowed tenancy where they enhance the original planting. As nurserymen the Quibels were influenced by Priona in Holland, and they propagate a huge range of new perennial style plants such as Aster, Cimicifuga, Veronicastrum, Circium, Epilobium Sanguisorbas and Thalictrums and wonderful grasses including their own self seeded Miscanthus ‘saturnia’, a luminous white flowering possible love child of Miscanthus ‘Silver feather’ which is similar but heavier. It is this mixture of formal and natural, control and laissée faire, old fashioned structure and twenty-first century planting that makes this garden special. It is a very sensual garden, crammed full of colours, scents and movement, and the French are very sensual about their plants. Nursery catalogues talk of finding the plants that have ‘seduced’ you in the gardens, and to overhear the eager replies to Patrick’s question ‘Do you want it?’ (vous le voulez?) in the nursery, you can see why. This entry was posted in Garden Design, Garden travel and tours, Garden Visiting, Landscape Architecture and tagged Dixter, French Gardens, garden museum, Jardin Plume, Marian Boswall, New Perennial, Normandy gardens, Priona, Quibel on 11th October 2009 by Marian. The landscape architecture compeition for Tiananmen Square was announced in March 2009 and, seven months later, we are pleased to see the first entries coming in. There are still eight months to go (till June 2010) and we hope for many more. All the competition entries can be seen on Flickr, because it is a Web 2.0 design competition. A Chinese commentator has said, in effect, ‘leave Tiananmen Square as it is: it is a ‘holy place’ belonging to the PRC and foreigners should leave it alone’. I can understand this attitude! – but the conclusion that ‘nothing should ever change’ does not follow and two of the early entries. from Witney Hedges and Henrychung, go for a ‘sensitive intervention’ approach which leaves the use and spatial character of the Square very much as they are today. Other entries, perhaps inspired by the famous Chinese architect Ma Yansong, go for a radical greening of the space. My own view is that all options should be considered and that they should be discussed both within China and outside China. Civilization, to which China has made an inestimable contribution, belongs to the whole world, not to a group of people who occupy a small geographical zone for a short period in time: they have the right and the power to decide but they can and should welcome debate. This entry was posted in Asian gardens and landscapes, context-sensitive design, public art, Urban Design on 9th October 2009 by Tom Turner. 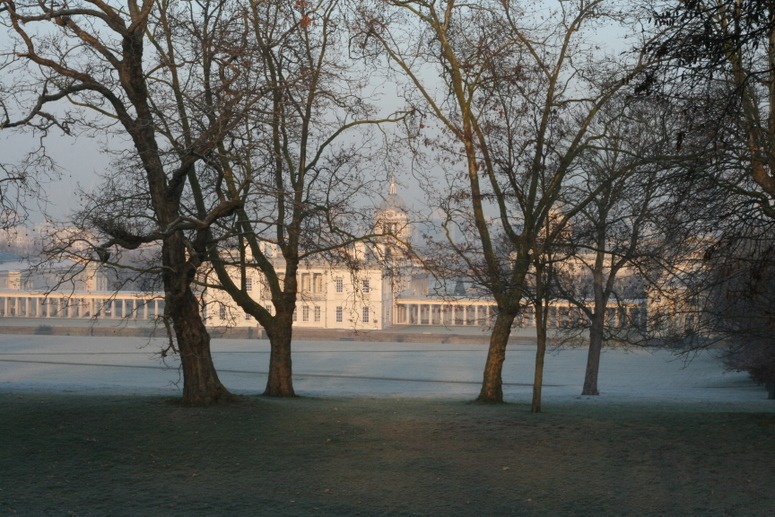 The space in front of the Queen's House is the site of the only design by Andre Le Notre for a British park or garden. Le Notre was the greatest garden designer and landscape architect of the seventeenth century. Archaeological research should be done before the land is sacrificed to the the 2012 Olympic horses. 2) the Le Notre parterre garden should be fully restored if the Equestrian Event takes place here, because horses and stadia damage land. What will improvement, strengthening, decompaction and aeration do the archaeological remains? They are no way to treat a site of Grade I Garden Archaeological Importance. The first step should be a non-invasive geophysical survey using a magnetometer. This can map buried building foundations (eg of fountain basins) and can even plot the location of pre-historic paths in certain circumstances. The Le Notre parterre was cultivated during the Second World War but (1) the cultivation is unlikely to have been deep (2) it may well have been limited to the flat area of the parterre (3) evedince may survive below the parterre and near Le Notre’s banks, which are the areas most likely to be damaged by the equestrian competition arena. Let us hope English Heritage supports the call for an archaeological investigation before further damage is done. 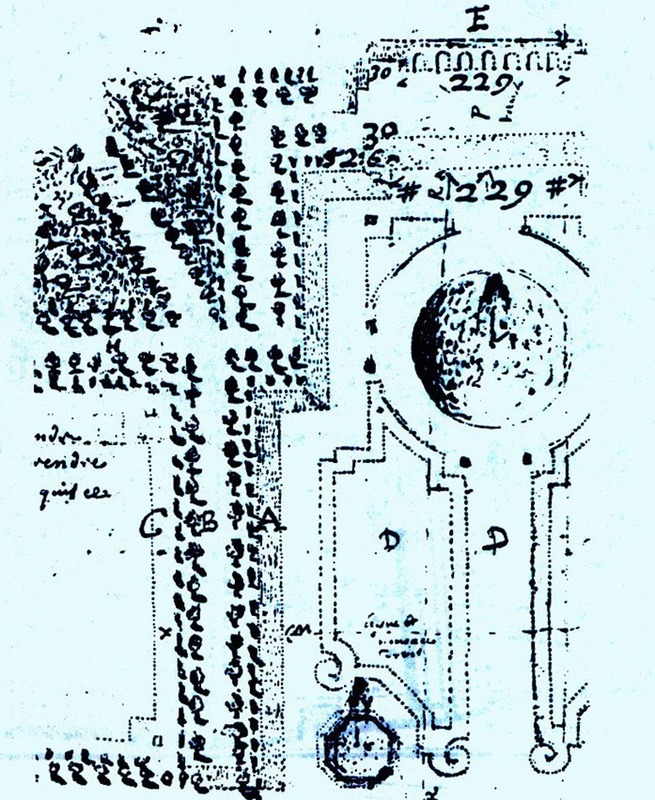 Andre Le Notre's plan for the parterre in Greenwich Park, with handwriting in his own hand. The earthworks were implemented and survive in part. An archaeological investigation is necessary to discover the extent to which the paths were built, and what survives of them. This entry was posted in Historic garden restoration, landscape and garden archaeology on 5th October 2009 by Tom Turner. The Eifel Tower became an adored feature of Paris, but after the Montparnasse Tower (right) was built, Parisians decided there must be no more high buildings within the Boulevard Péripherique. What does this tell us about context-sensitive, and context-insensitive, design? Context theory is “the theory of how environmental design and planning of new development should relate to its context”. Unless we want the world to become less-and-less diverse, it is a subject which should concern all urban planners, designers, architects and landscape architects. Surely, we all want designs which respond sensitively to the cultural, climatic, ecological, geological, hydrological etc context in which they are built. Cars and moble phones can be everywhere the same but design for the built environment should be sensitive to its context. This requires a theory of how additions to the built environment should relate to their context. In America, the FHWAFederal Highway Administration” fully supports the concepts and principles that make-up Flexibility in Highway Design, now commonly referred to as “Context Sensitive Design” (CSD)”. Even signage design can be context-sensitive and it is an important aspect of urban street design. This entry was posted in context-sensitive design, Sustainable design, Urban Design on 2nd October 2009 by Tom Turner. So far as I know, there is only one excellent book on Sustainable Energy. It is available free and the author, David MacKay, has become a government advisor. Everyone should read the 10-page synopsis. My question is this: how will solar power affect the landscape and what can landscape architects do to help the shift to sustainable energy? Solar, Clean Coal, Nuclear, Tide, Wave, Hydro, Waste, Pumped Heat, Wood, Biofuel, Wind. The European average for energy use is 125 kWh/day. 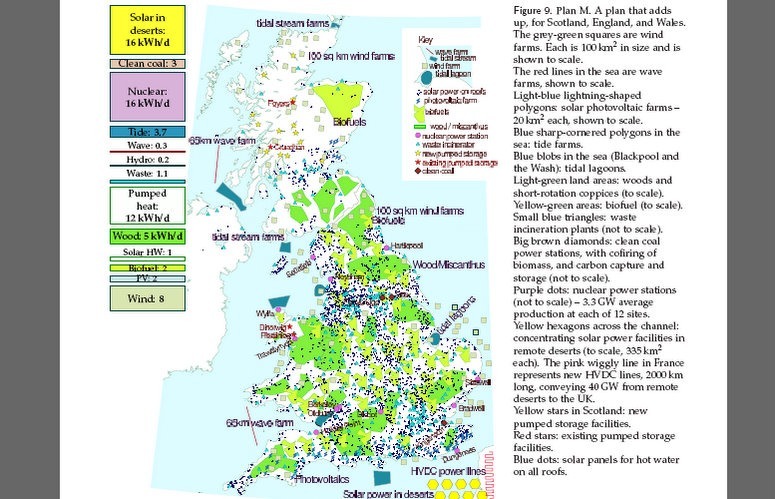 Covering the windiest 10% of Britain with onshore windfarms would yield 20 kWh/ day per person; covering every south-facing roof with solar water-heating panels would capture 13 kWh/day per person; wave machines intercepting Atlantic waves over 500 km of coastline would provide 4 kWh per day per person. Do landscape architects have anything to say about the layout of giant solar farms? David MacKay believes they are the most promising solution in the longer term. 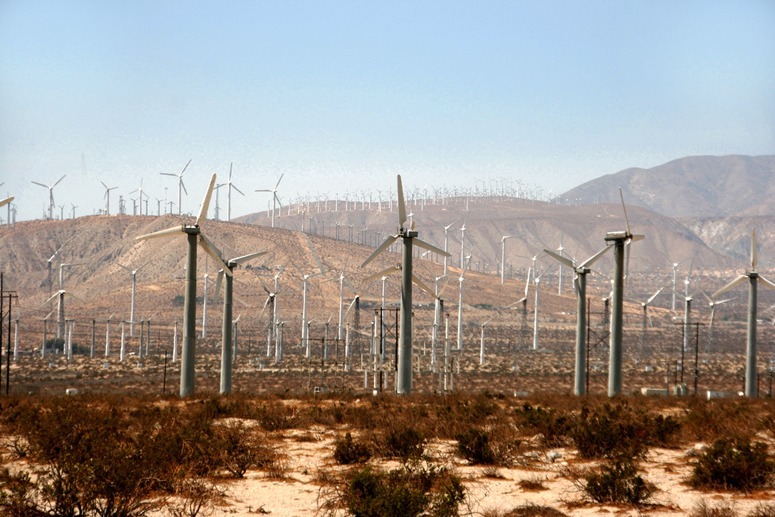 And what about giant wind farms? 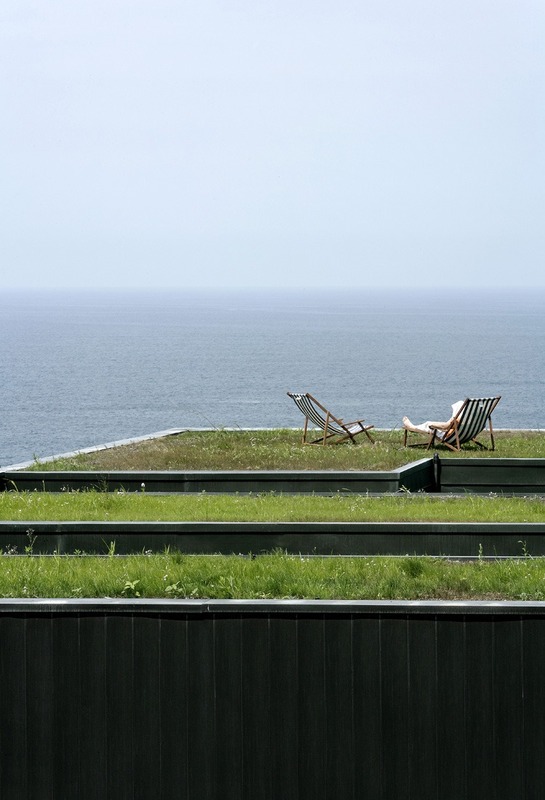 This entry was posted in carbon cycle balance, Landscape Architecture, Sustainable design, Sustainable Green Roofs on 2nd October 2009 by Tom Turner. Cities can, should and will, I believe, become much more productive of food. A friend whose paved ‘garden’ measures about 20 sq meters is self-sufficnent herbs and in summer fruits. He has 16 fruit trees, all grown in pots, and produces strawberries and other fruits with a flavour far superior to supermarket food. He does not have to worry about chemical sprays. He contributes to the balance of payments. NO energy is required to transport the produce. His plants take in carbon dioxide and give off oxygen. The vitamens do not have time to decay in storage. There is no need for a refrigerator or deep freeze to store the food. Tending the plants is good exercise. He provides ‘visual policing’ for the community while doing the work. Why don’t more people grow their own food? Because most cities are not planned for urban agriculture, unless they are in Cuba. 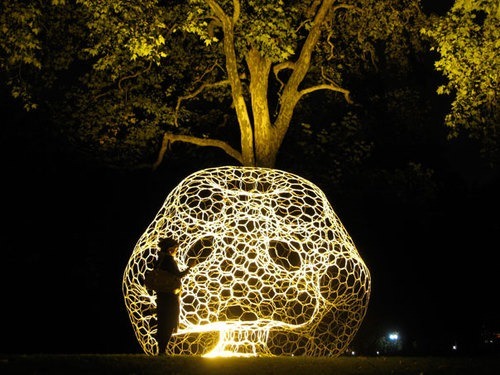 This entry was posted in Landscape Architecture, landscape planning, Sustainable design, Urban Design on 2nd October 2009 by Tom Turner. 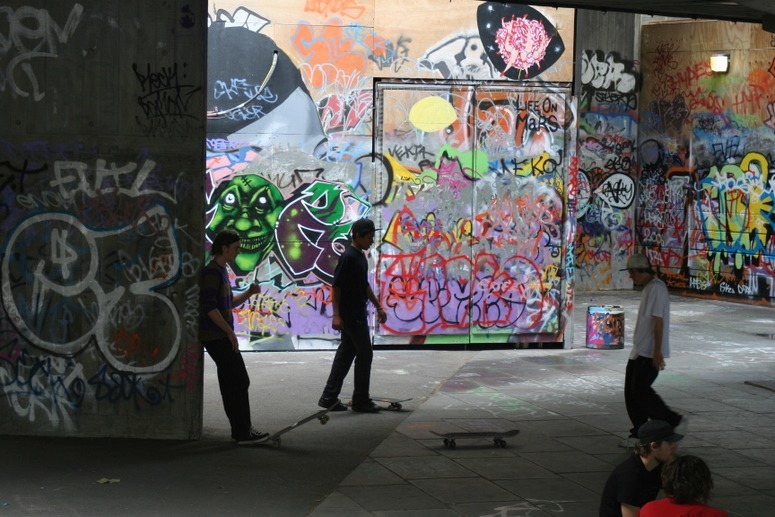 The Skateboard park on London's South Bank is a specialised POS, created by and for its users - in defiance of the authorities. It involved no capital cost and nor is there any maintenance cost. Too many park managers have a horticultural training. To few park managers are trained in landscape architecture, garden design, event management, community leadership, economics, public accountancy or social entrepreneurship. The consequence of the imbalance is that too much public open space is managed as ‘parkland’: ‘green deserts with lollipops’, shrubberies, flowerbeds and a few facilities for young mums, sporty youths and old age pensioners. We have too much generalized public open space and too little specialized public open space. This entry was posted in Landscape Architecture, landscape planning, Public parks, specialised POS, Sustainable design, Urban Design on 2nd October 2009 by Tom Turner.